In Europe, Ayurveda is increasingly acknowledged to be a comprehensive, traditional system of holistic medicine. Since 1993, the European Academy of Ayurveda has been contributing to this development, both by professionalizing educational schemes and by supporting international exchange and research projects. 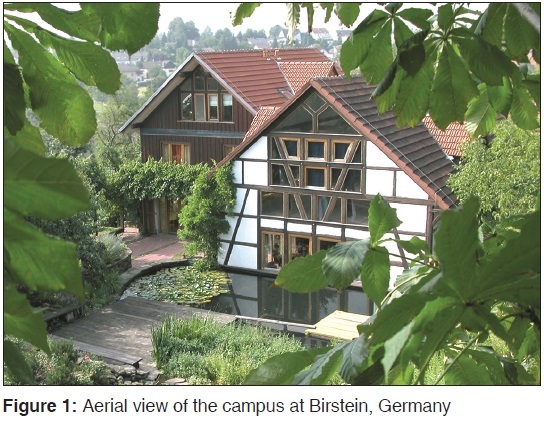 The institution situated in Birstein, Germany, is now celebrating its 20th anniversary. Alternative medicine is increasingly popular especially in German-speaking areas of Europe. In the beginning, Ayurveda played a leading role within a trend of deeply relaxing wellness therapies. Today, even in medical circles, Ayurveda is widely recognized as a complementary system of medicine and has reached the threshold of entering into the realm of evidence-based science. In several European countries, such as Italy, the UK, and Germany, doctors can now study Ayurvedic medicine within the framework of postgraduate medical education recognized by medical councils and universities. To meet the demand for Ayurvedic medicine, massage, nutrition, and therapy, a multitude of seminars and training programs have been established. Ayurveda has also gained ground clinically in Europe: apart from Ayurveda treatment centers and hospitals, prestigious clinical projects have started, officially recognizing Ayurveda's value as a complementary medical system. The Rosenberg European Academy of Ayurveda (REAA, www.ayurveda-academy.org) was founded by Kerstin and Mark Rosenberg in 1993. It is a non-profit organization mainly financed by students' tuitions and patients' treatment fees, as well as by a relatively small amount of tax-deductible donations. Therefore, the challenge for the REAA in an otherwise highly subsidized health and education sector is quite high. As a non-profit organization for holistic health and education, REAA pursues social purposes rather than economic ones. Over the last few years, REAA has played the role of a spearhead in pioneer work for the recognition and establishment of Ayurveda in German-speaking countries. In addition to its Ayurveda Health and Treatment Center in Birstein, Germany, REAA runs training centers in Austria and Switzerland, as well as in other locations in Germany. For the past 20 years, it has conducted courses on Ayurveda massage, nutrition, and Ayurvedic medicine, training over 4000 adult students in long-term programs, with 300 doctors among them. In addition, more than 10,000 adult students have attended its further educational programs on various aspects of Ayurveda and Yoga. Internationally, the Academy has an excellent reputation for its university course, “Master of Science in Ayurvedic Medicine.” The intensive 4-year training program is specially designed for medical professionals. Its 3150 h include almost 1000 h of practical clinical training. It leads to the first official diploma in Ayurvedic medicine that is acknowledged throughout Europe. Successful students are awarded the degree, “Master of Science in Ayurvedic Medicine,” validated by the UK's Middlesex University, London, and assessed with 240 UK credits (equivalent to a minimum of 90 ECTS). The master's thesis is supervised in cooperation with the Charité Medical University, Berlin, one of the highest ranked medical universities in Germany and one of Europe's leading CAM faculties. This guarantees that the highest academic and scientific standards are met. Currently, 90 qualified practitioners of Western or natural medicine are enrolled in this academic program, which is now entering its fifth year of existence. Apart from the just mentioned cooperation with European universities, close relations have been established with leading Indian institutions such as Banaras Hindu University (BHU), Foundation for Revitalisation of Local Health Traditions (FRLHT), AVP Research Foundation, Coimbatore, and the Mahagujarat Medical Society with its Ayurveda College in Nadiad, most of which have been formalized by MoUs. These enable the REAA to improve quality by using traditional Ayurvedic expertise. Many Ayurvedic professors, doctors, and practitioners, as well as Indian political officials have taken the opportunity to visit the academy, either as members of the teaching staff, as speakers at congresses, or for the purpose of ensuring the quality of the academy's work. As a result, REAA's Academic Advisory Board includes professors from Indian and European universities, as well as Ayurveda doctors, vaidyas, and therapists. As one of REAA's main bodies, the Academic Advisory Board was established to advise the directors of the departments and managing directors in all didactic and scientific matters. The members of the Academic Advisory Board exchange thoughts about fundamental and current issues to do with training and further education in Ayurveda. The Academic Advisory Board also determines the rules for examinations conducted at the academy and acts as a controlling authority. Many of the currently leading training concepts of REAA have played a pioneering role in the development of professional Ayurvedic education in Europe (such as the training as Holistic Ayurveda Nutritionist or Psychological Ayurveda Consultant) and provided Ayurveda's response to the public demand for holistic and natural health care. College lecturers from our MoU partner universities, reputed Ayurveda doctors, and experienced therapists have helped in designing the educational programs, to which they have contributed broad knowledge and experience. The programs have been developed in strict accordance with the guidelines of the Quality Assurance Agency for Higher Education, UK (QAA), making high didactic and academic quality a universal feature. As a result, students from all over Europe attend the REAA to study Ayurveda and connected disciplines. Having earned a diploma from REAA, they can also be sure to be accepted as members of the European Professional Association of Ayurvedic Practitioners and Therapists (VEAT). As regards academic and scientific research, Ayurveda is still in a pioneering phase in the West, and apart from some isolated cases, little systematic research has been conducted on it so far. To help remedy this situation, the REAA's CEO, Mark Rosenberg, approached Professor Andreas Michalsen from the Institute of Social Medicine, Epidemiology and Health Economics at Charité Medical University, Berlin. They agreed on initiating a collaborative research project: “International controlled and multi-centered study on the effectiveness of Ayurvedic Medicine in the treatment of osteoarthritis of the knee.” The project is conducted by the Charité Medical University, Berlin, supported by the Central Council for Research in Ayurveda (CCRAS) of the Indian Ministry of Health. The trial, designed as a 4-year study, is the first comprehensive study on Ayurvedic medicine in Europe since the turn of the millennium. The results will be published soon and are expected to strongly influence the way Ayurveda will be perceived by medical and scientific circles in the Western world. 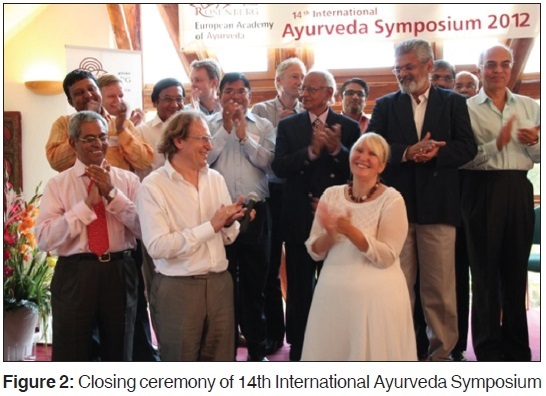 The REAA's annual International Ayurveda Symposium has been among Europe's most valued Ayurveda conferences for 15 years. Internationally known professors, doctors, and specialists of Ayurveda from South Asia and various European countries follow the invitation to reveal new research findings and therapy protocols here. They present their cases in lectures, speeches, and panel discussions, as well as in the symposium journals published by the REAA. The international Ayurveda Symposium is contributing immensely to broaden the acceptance of Ayurveda as complementary medicine by promoting the exchange of scientists from both Ayurvedic and allopathic medicine. Thus, new ways for integrative medicine can be pursued. Within the frame of the symposium, the academy organizes an Ayurveda camp on healing and research. True to the motto, “Ayurvedic Medicine for Everyone,” the REAA offers Ayurvedic medical consultations and advice free of any charge, under medical direction and with experienced Ayurvedic doctors and vaidyas. Ayurveda for the head - Remedies for migraine, alopecia, otolaryngologic ailments, etc. The pre-conference evening on 13th September will be dedicated to celebrating REAA's 20th anniversary and the benefits Ayurveda has brought to public health in Europe.